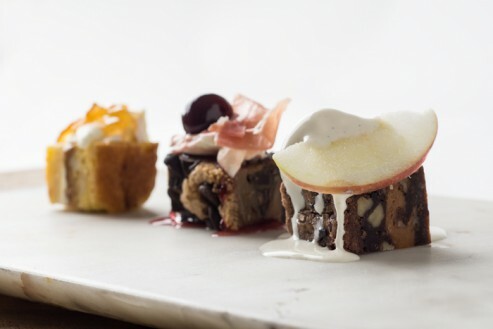 Killer Brownie® Pairings | Blog | Di Bruno Bros.
Posted June 23, 2014 by Di Bruno Bros.
We’re unleashing the Killer Brownie® with some killer cheese pairings that have been known to bring grown men to tears. Thanks to one of our amazing cheesemongers, Leslie U. (known on the streets as the “Queen of Pairings”), we have three perfect flavor mashups that’ll take your brownie game to a whole ‘nother level. Prepare yourself for these killer combos. These flavor combinations are more like an experience to be shared with friends, family, and everyone else you know and love. This is the stuff of legends. Heath mix meets layers of macadamia nut, white chocolate caramel, and sweet yellow cake. As if it weren’t already the perfect bite, we went ahead and layered Blonde Ambition with a cheese so special…you can only get it our shops. Malgaiola Due Latte is a oozy, gooey cheese washed in Allagash that brings a creamy texture to complement that Heath mix crunch. 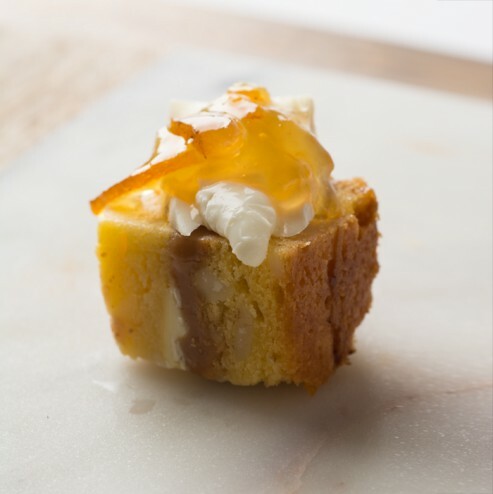 The final touch is a spoonful of bright and fruity Yuzu marmalade – previously a rarity only Japanese royals could enjoy. 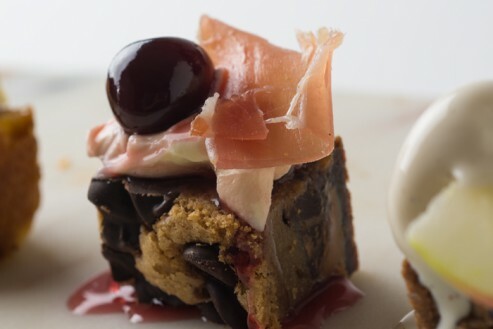 This chocolate chip brownie gets loaded with sweet and tangy cherry-swirled mascarpone cheese, fennel and red chili prosciutto and is topped off with a juicy bing cherry. One bite and you can taste pure umami decadence. Sweet, creamy mascarpone serves as the whipped cream-esque topping and we threw a cherry on top for good measure… because let’s be honest, this thing deserves it. Sometimes there’s nothing better than a warm brownie topped with a scoop of something cold and sweet. 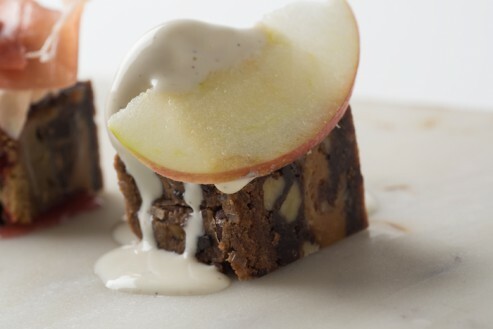 Feast on this buttery caramel and sea salt brownie with freshly sliced Fuji apple and a citrus blast of lemon frozen yogurt. Ah, life is good. Stop by our Rittenhouse, Franklin, and Comcast locations to get some Killer Brownies® in your life! Try a Blonde Ambition sample at the June 26 #3cheesethursdays Happy Hour at the Franklin from 5:00-7:00PM!